Fahrenheit DDB, an advertising agency based in Lima, Peru has created these eye-catching print ads promoting a drain opener called Dukto. The two ads are part of a campaign titled "Let them run free." 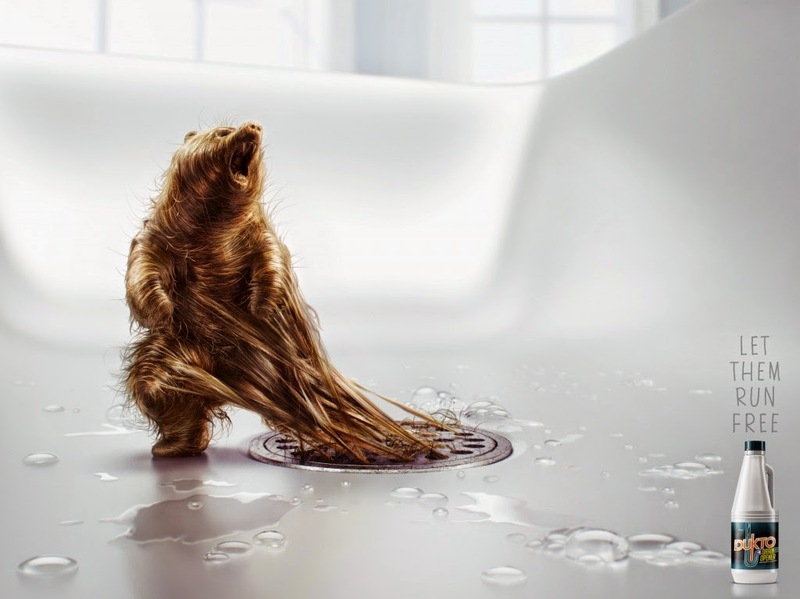 One of the top reasons why drains get clogged is because of the accumulation of hair. 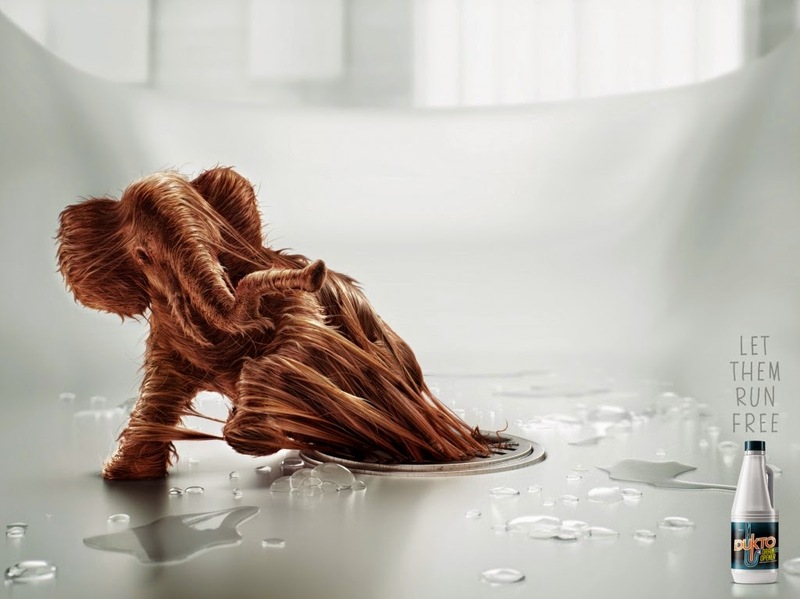 If you've seen these Dukto ads, you will likely be thinking of them the next time you encounter a clogged drain. In other words, these ads work.